If anyone has anymore review links please post them. Anyone else notice sparkle on clothing of the characters? 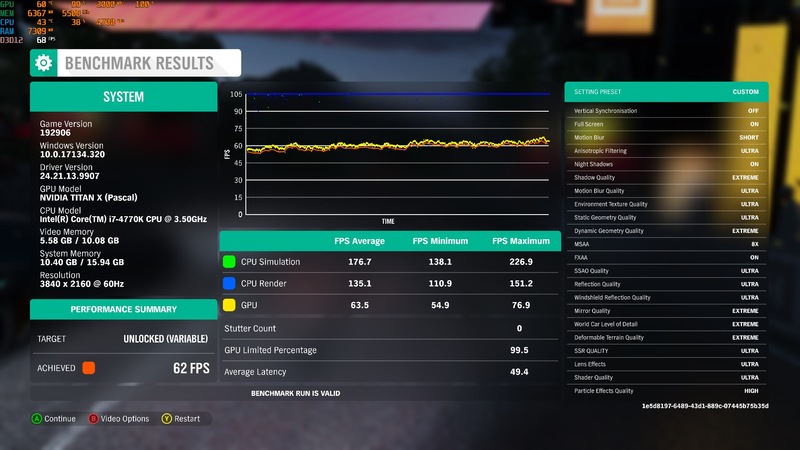 Same on my iMac Pro Vega64 and my 2080Ti. Last one from me - stock 2080 again but in a different system while diagnosing and resolving an issue earlier today. Yep, for once we have an amazing looking game that scales beautifully across multiple systems. Here's some more older hardware. 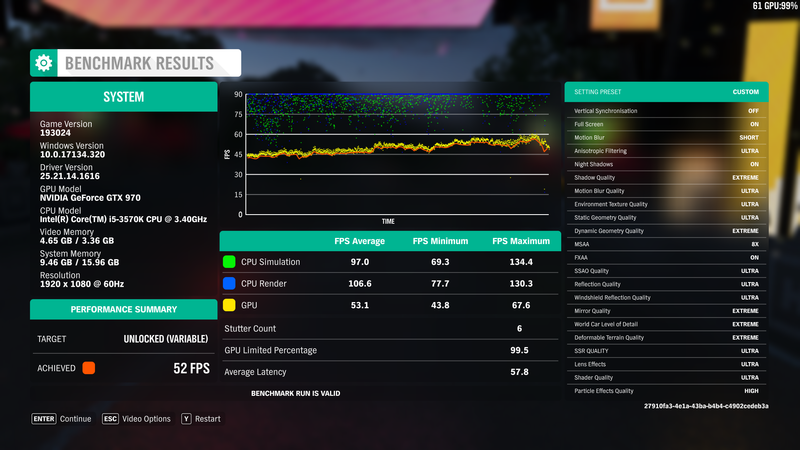 Looks like the 970 really lacks the required VRAM for Ultra/Extreme settings. 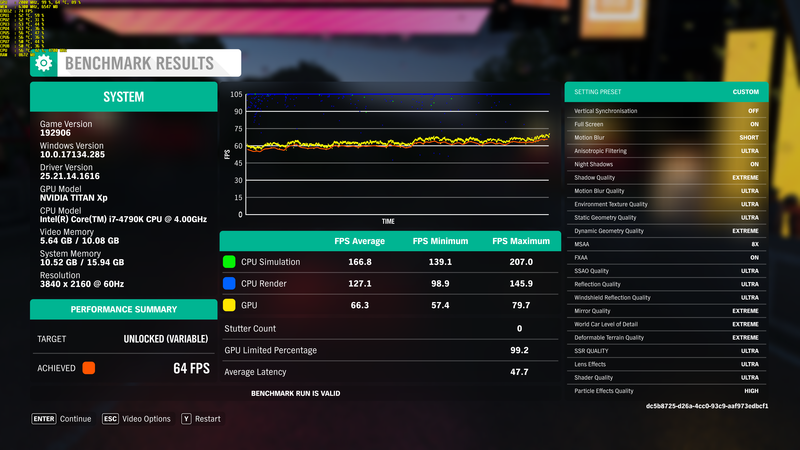 Ouch, that really shows up how badly my CPU holds me back in this bench. 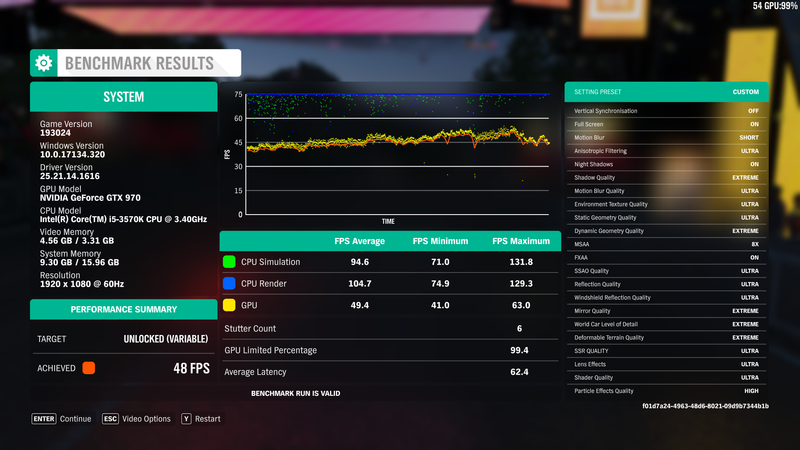 I managed to run a higher overclock on the GPU and got a few extra fps, so I've updated my post above. 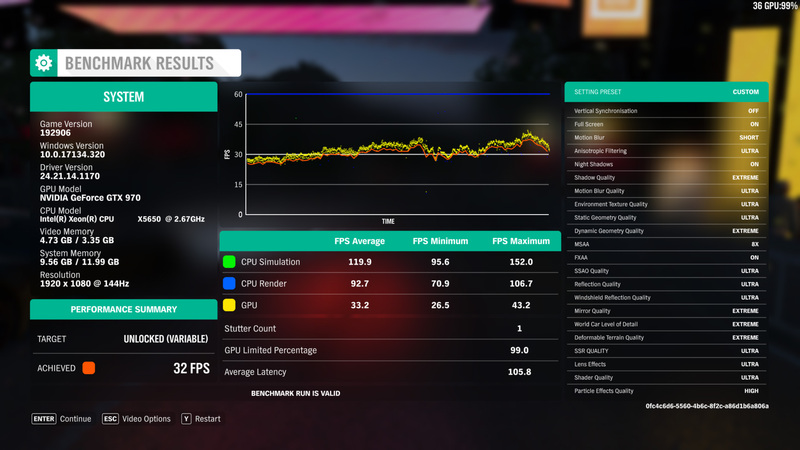 Overclocking the CPU upto 4.5ghz didn't seem to make any difference to framerates. Was expecting a bigger gain between me and some of the other cards re-ran a few times different drivers couldn't break 64fps.